This post was sponsored by Morph Pillow. Although this product was sponsored, this doesn’t affect the review and all opinions on this post are mine. 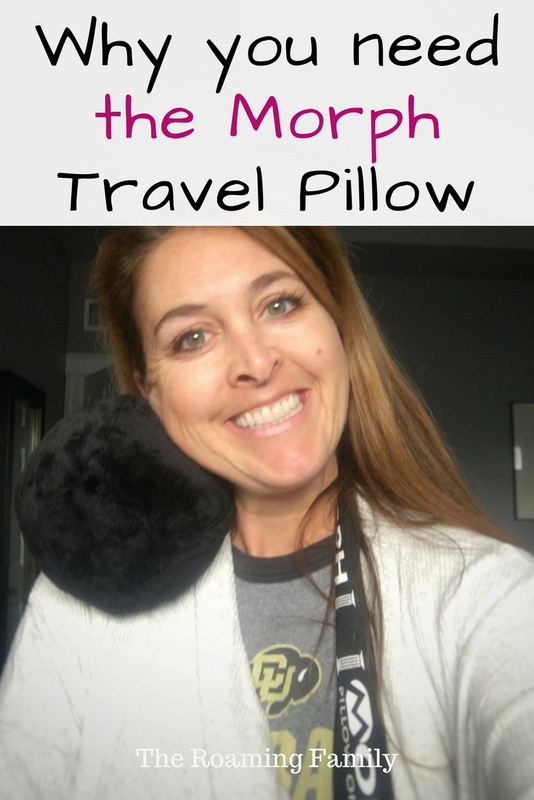 I’m constantly on the hunt for pillows, blankets or other travel items to make traveling more comfortable. 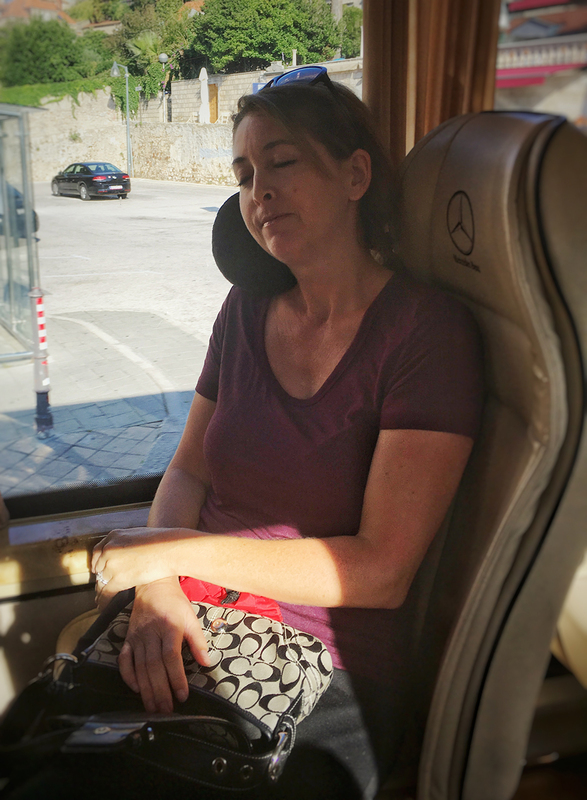 Long flights, dealing with kid craziness and fatigue are real ya’ll. 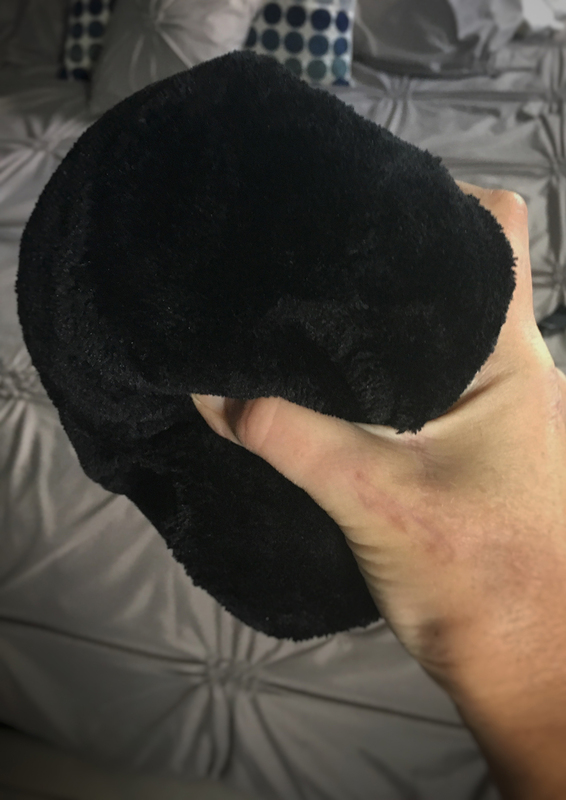 So when I first heard about the Morph Pillow, I was intrigued. I have a chronically painful neck, not to mention rheumatoid arthritis, so anything that can make long journeys more comfortable is right up my alley. I loooove anything made of memory foam. We have a Tempurpedic bed and it couldn’t be more comfortable, so when I read about the Morph, and saw the magic words, memory foam, I had to try it out. The pillow started as a Kickstarter campaign. I love Kickstarters. They’re super transparent and supporting a great idea from a “regular person” is so much more palatable than supporting huge, big business. Give me small business any day. Funding for the project started in late 2015 and raised about $22k within the first few months. Creator Brian Parker was great about giving backers updates and seemed to really listen to them about what they liked and what they didn’t like. A few changes were made. Most notable was the pillow case. Formerly a hard case, it was changed to a soft case for ease of use. And shortly thereafter, a strap was added to make the pillow stay put between your shoulder and neck. 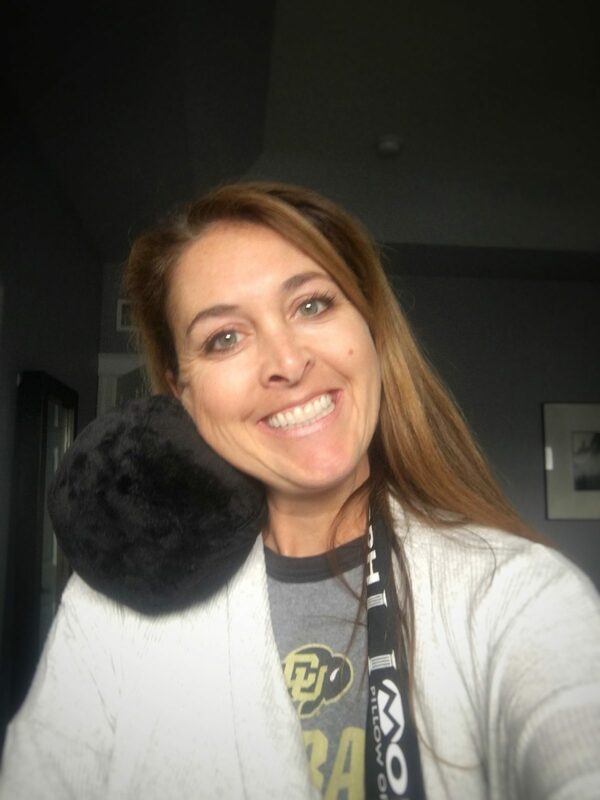 The pillow is small and discreet, which I was super psyched about because there is nothing worse than hauling around a huge pillow with you when you’re traveling. For families in particular, bringing pillows for every person in the family is totally unrealistic. Space is at a premium when you have a family of four going somewhere and we are light packers. We prefer to go places without checking any bags at all. So the Morph, which can’t be more than 5 inches across, is ideal. It comes in a soft, nylon bag with a string which is easily attached to a backpack or bag. 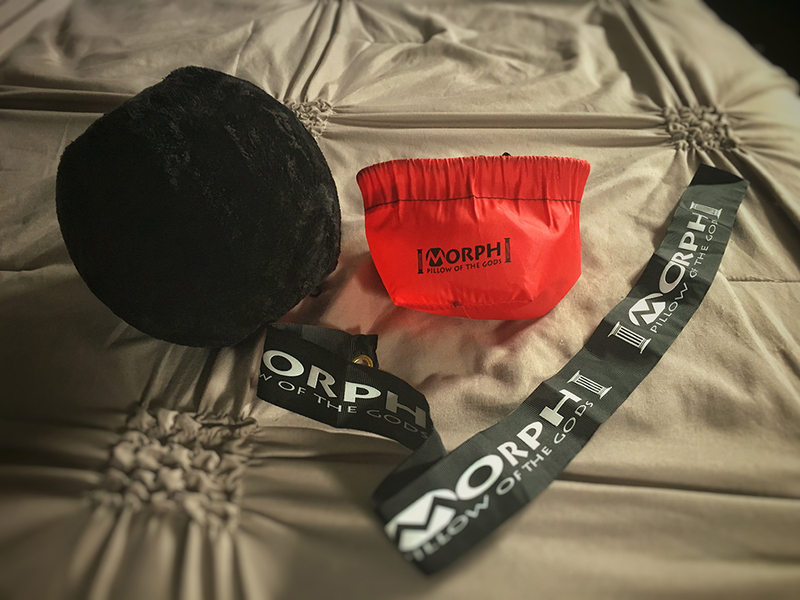 The morph pillow is really flexible. Even with my bad hand, which has seen more surgeries than I care to talk about at this point, I was able to remove it from the carrying bag and put it back in. I look for ease of use in things like this because the kids are full of drama and if anything is even slightly difficult, they call in mom to do it for them and I’m over that! My 7 year old able to handle this pillow with ease. 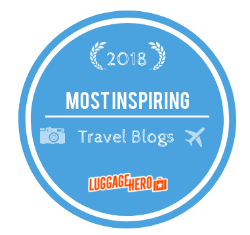 Even attaching it to my carry-on bag was really easy and it didn’t add any weight to my bag….which is going to be key in our upcoming trip to Tanzania considering the weight limits. I first tried the pillow on my flight leg from Newark to Frankfurt. One of my biggest pet peeves when it comes to travel pillows is a pillow’s size and ability to fit my neck. I find that most pillows are either too big, so they won’t adjust close enough to my neck, which is annoying, or they’re too small and my head falls to the side so much that I get a massive neck ache. I experienced none of this with morph pillow. On my first flight leg, I was seated by a window, so I was able to position the pillow between my head and the window, which was really comfortable. Pillow stayed right where I placed it and I was able to sleep for a couple of hours. What about when you’re not sitting near a window and don’t have something to support the pillow next to you? Enter the strap. The strap attaches to the zipper on the pillow and you wind it around your back (positioned between your body and your seat). The weight of your body helps keep the pillow perfectly in place. Brilliant for anyone sitting on an aisle. They have a great video tutorial here. This was really important to me because, as I mentioned, I can never really get pillows to stay in a place that is really comfortable and my head ends up bobbing all over the place once I fall asleep. Or my head ends up on a stranger’s shoulder….just a little embarrassing. See that strap? A key element during times you can’t lean against something or someone. During this past trip to Croatia (details coming soon! ), I used the Morph a few more times. On two different buses during my wine and oyster farm tours. One time I was able to rest against a window, and the other time, I stretched out in the back of the bus with the pillow under my head. Both time were a big success with me falling asleep easily (hello wine and jet lag). This pillow is going to be a must for our Tanzania trip when it comes to the kids. 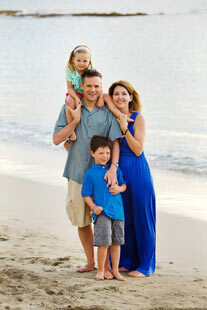 The perfect size and shape for both of them – they are always leaning up against me during trips and complaining about the “hardness” of the arm on the seat. No more bunching up a coat for them to lay on – we’re busting out the Morph! With 3 flights and around 20 hours of flying time, a comfy pillow is going to be so important. Also, there is so much downtime in safari vehicles that I really think this will help when we’re waiting around for animals to appear. Can’t wait! You can find the Morph Pillow on Amazon here.